In 2011, Vemar changed the style of the Eclipse shield and fitting system. The current shield fitting system is shown in the top left image. 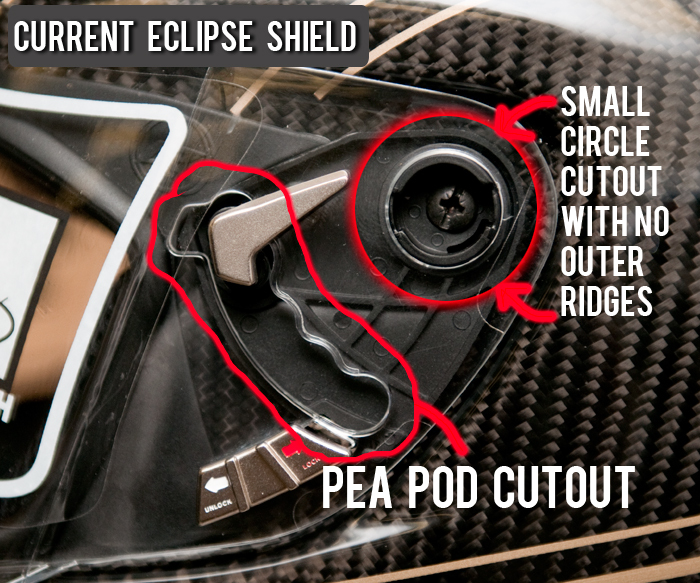 If you purchase a Vemar Eclipse helmet today, your helmet will come standard with the shield and fitting system on the left. If you purchased your helmet between mid-2011 and before, there is a chance the Eclipse helmet you own looks more like the one on the right. You can see below the different in detail on the shields below. If you are looking to get a new shield for your Vemar helmet, review the images and see which one matches your helmet. If you wish to order the current shield and/or shield fitting kit, you may reference the following part numbers with your Vemar retailer. 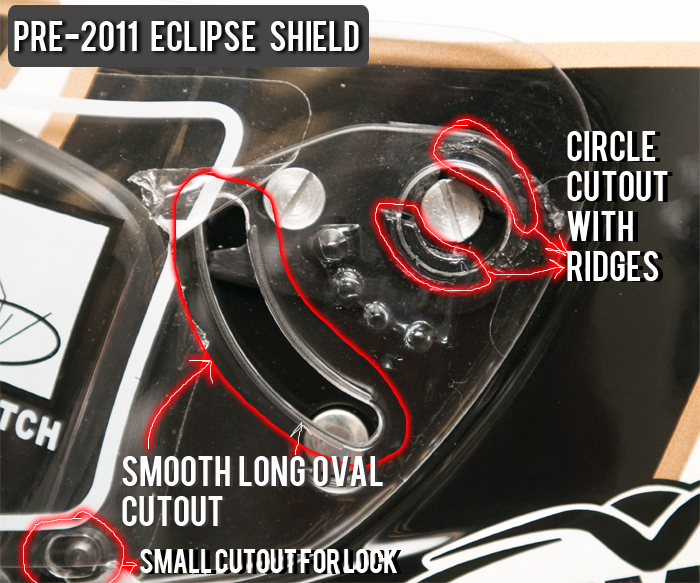 If you have a pre-2011 helmet, the current shield will work on your helmet, but you have to make sure you purchase the shield fitting kit as well to place the older mechanism. If your shield reflects the image above and you wish to keep this style of shield and/or kit, please use the following part numbers with your Vemar retailer.